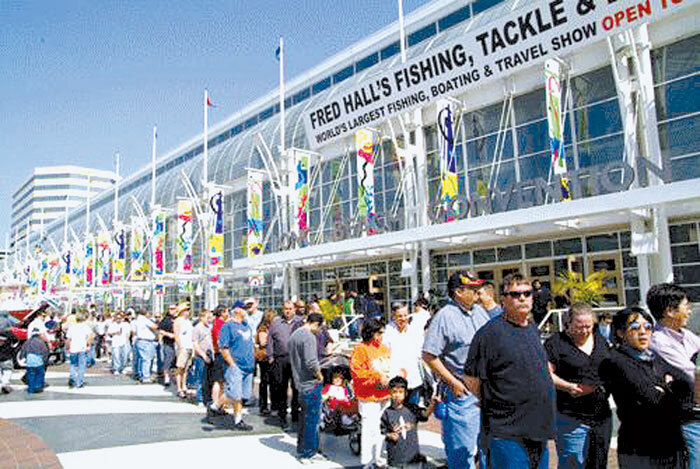 LONG BEACH — Sportfishing gear, boats and scores of outdoor recreation options will take center stage at the 66th annual Fred Hall Fishing Tackle and Boat Show, March 7-11 at the Long Beach Convention and Entertainment Center. Hundreds of vendors will be present, offering the latest fishing gear, boats, marine accessories and services — and numerous free seminars will be available, geared to anglers and outdoors enthusiasts of all experience levels. In addition to fishing and boating items, exhibits will showcase camping, hunting, outdoor adventures, shooting sports and travel destinations. Show hours are 1-9 p.m. weekdays, 10 a.m.-9 p.m. Saturday and 10 a.m.-7 p.m. Sunday. Admission is $15 for adults, $14 for seniors, free for children 15 and younger with a paid adult, and free for active military personnel. The show is presented by the American Sportfishing Association and Fred Hall & Associates. Tickets can be purchased in advance at fredhall.com or in person at the door. For details, visit fredhall.com.